Call in advance for tattooist's availability. 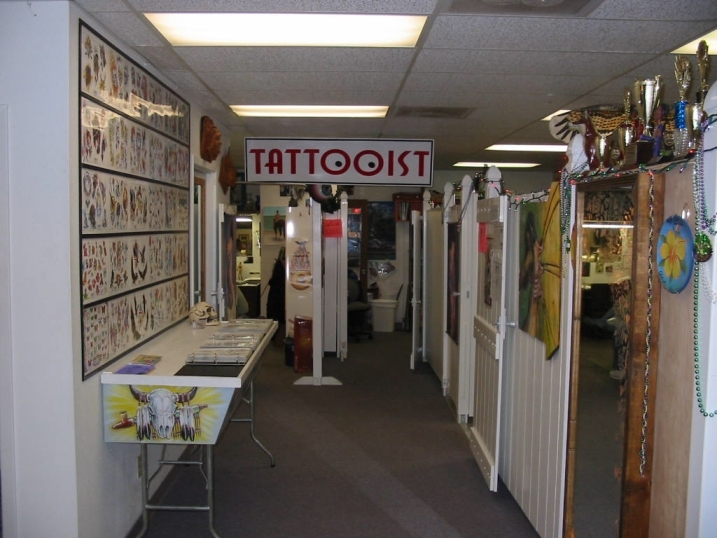 Minimum Tattoo Cost is $40 to cover needle, ink, and set up costs. 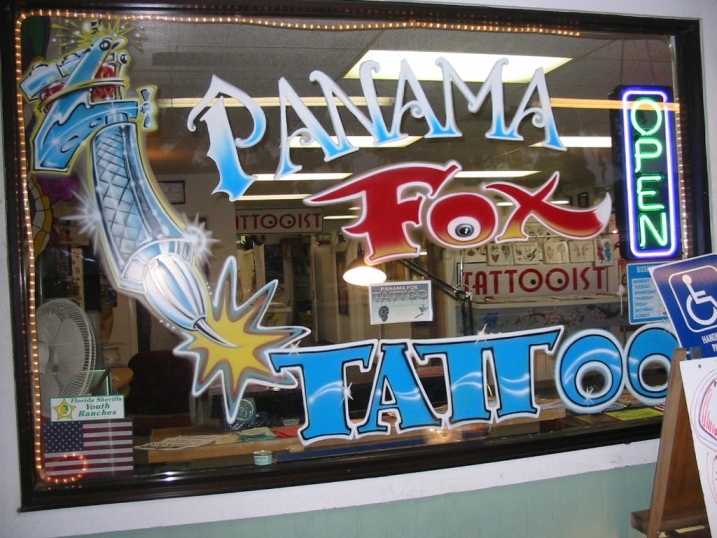 Panama Fox Tattoo is located in Oak Tree Plaza on Highway 98 between the Days Inn and Gold Nugget Adult Club. It is an extremely professional and sterile environment and uses new needles. No food, drinks, kids, drunks, drugs, or whiners allowed on premises. The waiting area is always nice and clean and inviting. There is plenty of Flash around the area for you to get ideas from. 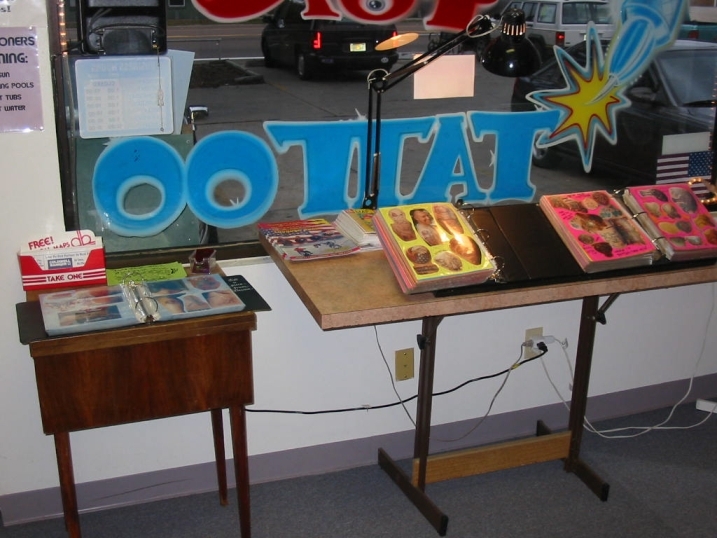 They encourage you to use Flash as a source of inspiration for your tattoo. As they will be more than happy to work up an original design from your ideas. 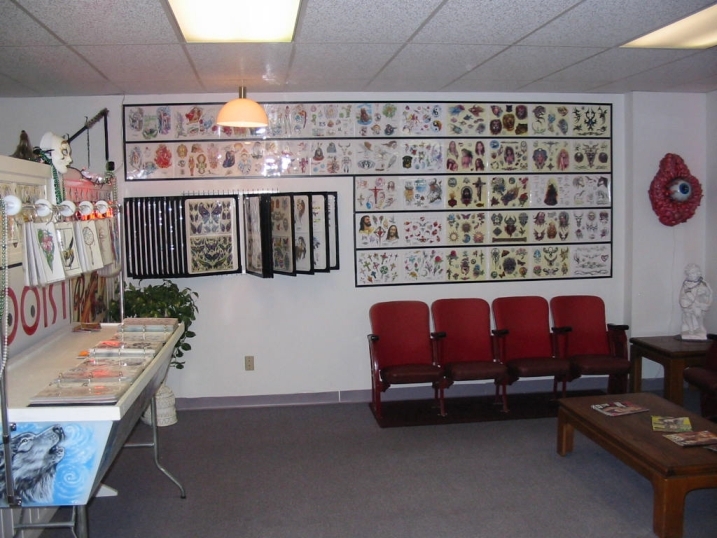 Feel free to browse through the books containing hundreds of samples of both Randy and Denise's tattoos. 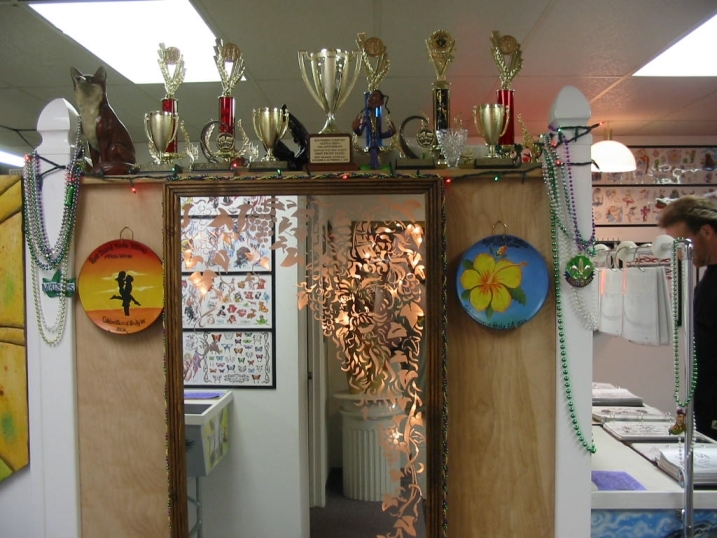 Gaze at some of the many awards that Panama Fox has won in international, national, and local contests. When you have your tattoo designed and are ready to go, you travel down the hall to the booth and get your looks vastly improved.